San Diego State has one dedicated mascot. 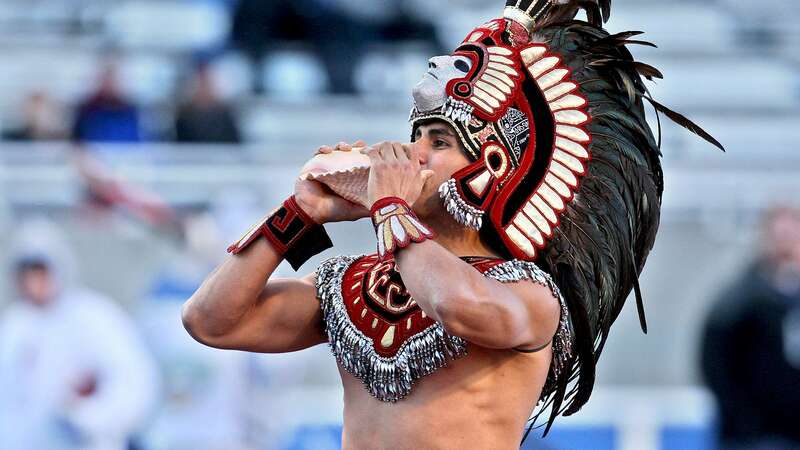 Below freezing weather wasn’t enough to deter the lightly clad Aztecs mascot. Here he is braving the cold to support his team. The program was pretty awesome. 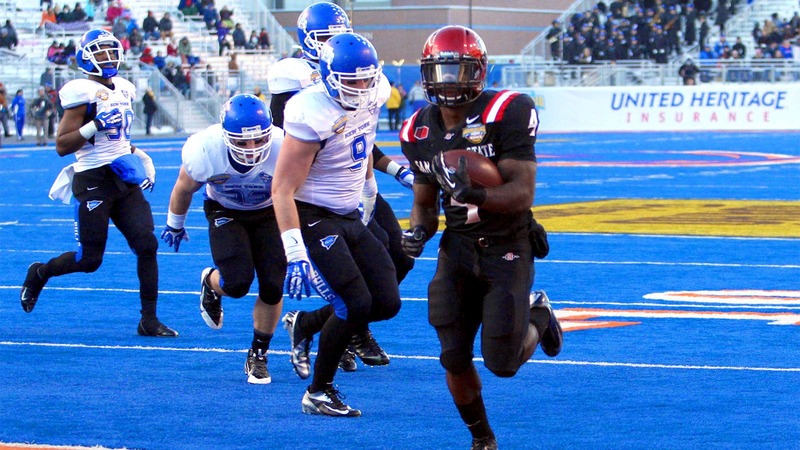 On the field, Aztec RB Adam Muema brought his ‘A’-game, rushing for three TDs and 229 yards. Muema led SDSU in both those categories this season. 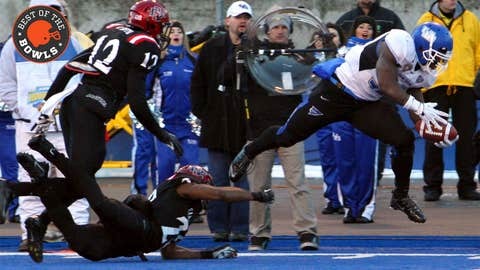 Here’s the junior finding of the end zone for the second time in the first quarter. 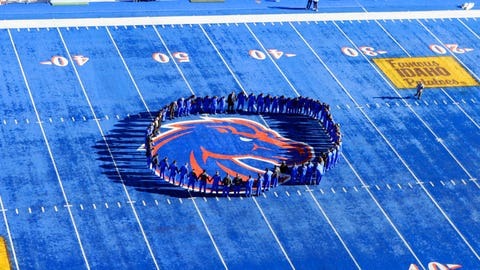 Those are the Buffalo Bulls forming a circle around the Boise State logo prior to the game. 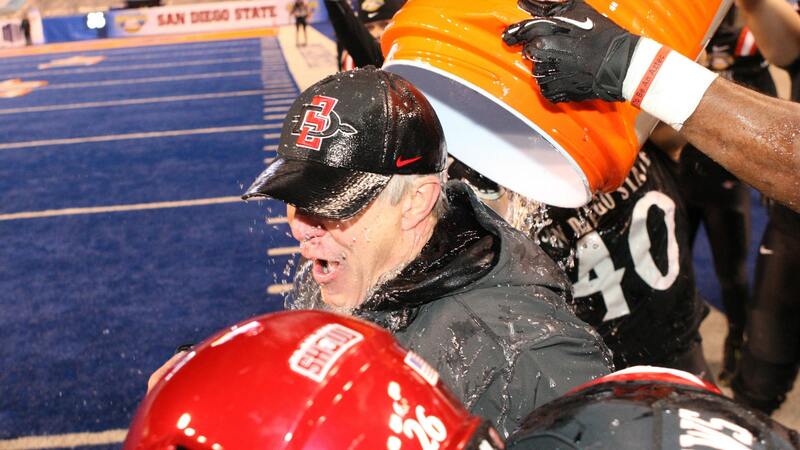 Congratulations, indeed, to the 2013 Aztecs and mashed potato fans everywhere.